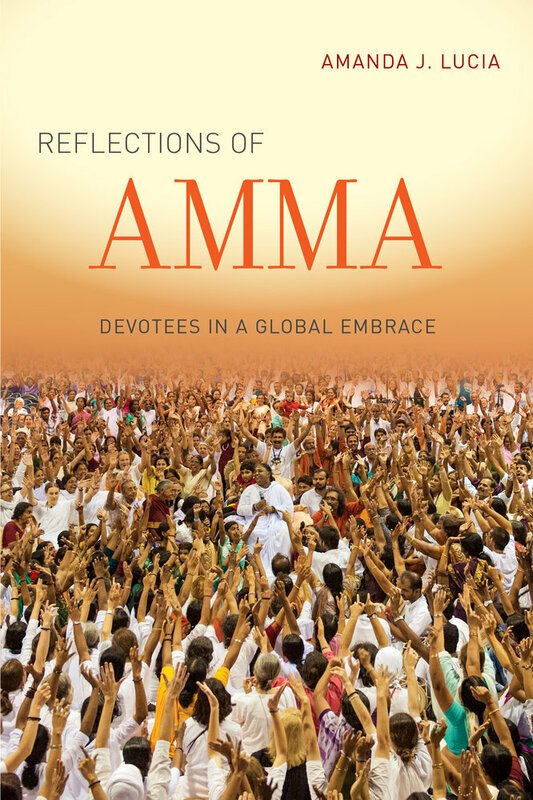 Globally known as Amma, meaning "Mother," Mata Amritanandamayi has developed a massive transnational humanitarian organization based in hugs. She is familiar to millions as the “hugging saint,” a moniker that derives from her elaborate darshan programs wherein nearly every day ten thousand people are embraced by the guru one at a time, events that routinely last ten to twenty hours without any rest for her. Although she was born in 1953 as a low-caste girl in a South Indian fishing village, today millions revere her as guru and goddess, a living embodiment of the divine on earth. 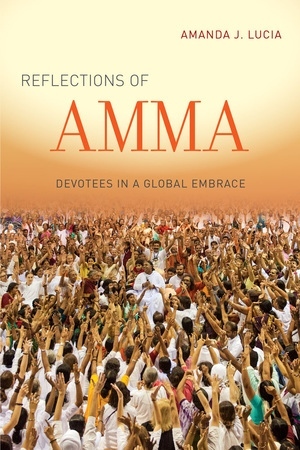 Reflections of Amma focuses on communities of Amma’s devotees in the United States, showing how they endeavor to mirror their guru’s behaviors and transform themselves to emulate the ethos of the movement. This study argues that “inheritors” and “adopters” of Hindu traditions differently interpret Hindu goddesses, Amma, and her relation to feminism and women’s empowerment because of their inherited religious, cultural, and political dispositions. In this insightful ethnographic analysis, Amanda J. Lucia discovers how the politics of American multiculturalism reifies these cultural differences in “de facto congregations,” despite the fact that Amma’s embrace attempts to erase communal boundaries in favor of global unity. Amanda J. Lucia is Associate Professor of Religion at UC Riverside.